A.R. Gurney — the prolific playwright known for hits like "Love Letters," "The Dining Room," and "Sylvia" — died Tuesday at Manhattan home, The New York Times reported. He was 86. Born in November 1930 in Buffalo New York, Albert Ramsdell Gurney's career began as an educator. A graduate of the Yale School of Drama and former officer in the Navy, Gurney would spend years teaching English and American literature — first at a private school and then at the Massachusetts Institute of Technology, beginning in 1960. 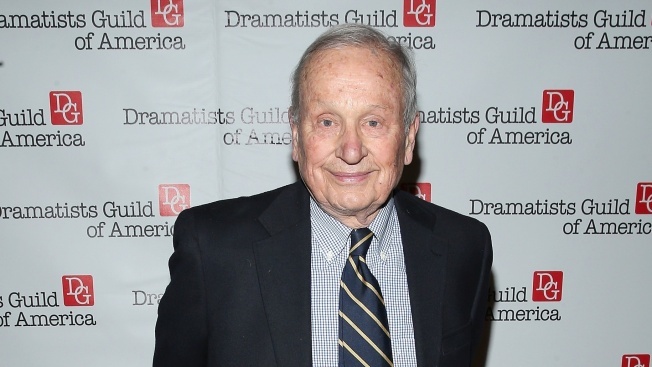 He began writing some of his near 50 plays there, though wouldn't find success as a playwright for another 20 years or so, when "The Dining Room" — a play about generations of family gatherings set in a common dining room — would premiere Off Broadway at Playwrights Horizons. The 1981 production starred William H. Macy and Pippa Pearthree, among others. Often dissecting the lives of White Anglo-saxon Protestant living in the American Northeast, Gurney would make his Broadway playwriting debut in 1984 with his three-person comedy "The Golden Age" — starring Stockard Channing, Jeff Daniels, and Irene Worth. Only three of his other plays would make their way to the Great White Way, including 1987's "Sweet Sue" (with Mary Tyler Moore and Lynn Redgrave) and 1989's "Love Letters" — the two-hander depicting the 50-year relationship of two friends through the reading of the cards, notes and love letter they exchanged. That play was revived on Broadway in 2014, in a well-reviewed production with a cycle of stars — including Brian Dennehy Mia Farrow, Carol Burnett, Alan Alda and Candice Bergen. Of all Gurney's plays, it's arguably the most successful — with productions appearing in over 40 countries around the world. Gurney's most recent outing on Broadway was the 2015 revival of "Sylvia," which starred Tony winners Annaleigh Ashford, Matthew Broderick and Julie White. The comedy, about a couple’s relationship with their new dog, opened to positive reviews, but closed after 69 performances and 27 previews. The Signature Theater devoted the 2014-15 season to Gurney, with productions of his plays "The Wayside Motor Inn" and "What I Did Last Summer." They also produced his the world premiere of his final play, "Love & Money," as part of their 2015-16 season. Additionally, Gurney also wrote three novels: "The Gospel According to Joe,""Entertaining Strangers" and "The Snow Ball." Known by friends as Pete (a nickname given to him by his mother), Gurney married Molly Goodyear in 1957. She and their four children — George Gurney, Amy Gurney Nicholas, Evelyn Gurney, and Benjamin Gurney — survive him, as does his two siblings and eight grandchildren. "Pete Gurney was one of the American Theatre's wittiest storytellers," Ashford told NBC New York in a statement. "His perfect timing and heart, beats on through his plays. It was an honor to play one of his pups and an honor to know such a beautiful human spirit."